Barbara Williams joined First Financial Equity Corporation in 2006. 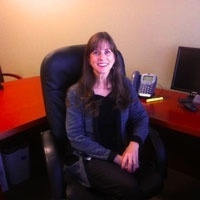 She has worked in the financial services industry for over 20 years, having previously been with Morgan Stanley and Banc of America Investment Services, Inc. The Richardson, Texas, native is married, has four children and three grandchildren. She enjoys camping in her vintage Shasta trailer. Barbara serves her community through the Lucas Volunteer Fire Department as a member of their Community Emergency Response Team (CERT) and serves on the Lucas Firewise Community Board.